I was recently invited to take part in this beautiful wedding shoot featuring work by CloudParade vendors. It’s being featured on the amazing blog, Green Wedding Shoes . If you’re planning a wedding, you should definitely check out this blog! 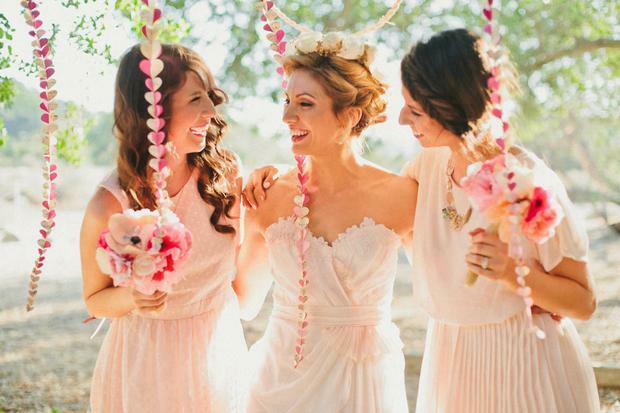 The Wedding Designer is the very talented Brigitte Erwin of Artsy Heartsy Events, the photographers are Candice Brooke from Mark Brooke Photography and Molly from Mathieu Photo. Thanks to all involved for a stunning shoot - you did a fantastic job! You can see my Ombre Heart Garlands here.